Diabetes is an unusual disease during which complications may occur with little warning, sometimes with severe consequences. Therefore, Diabetes is a disease that must be strictly monitored. You will be given expert advice and education to understand the different stages of your illness, so that you can manage it yourself on a daily basis. 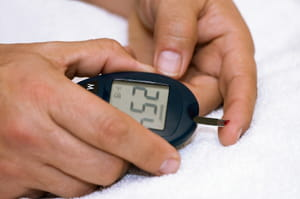 Understanding the disease, its origin, risk factors and complications are the basic principles of diabetic education. You will be able to find out more information from your GP, diabetic specialist, dietician, and diabetic nurse. Latest update on July 30, 2010 at 06:45 AM by N.T. This document, titled "Diabetic Education ," is available under the Creative Commons license. Any copy, reuse, or modification of the content should be sufficiently credited to CCM Health (health.ccm.net).